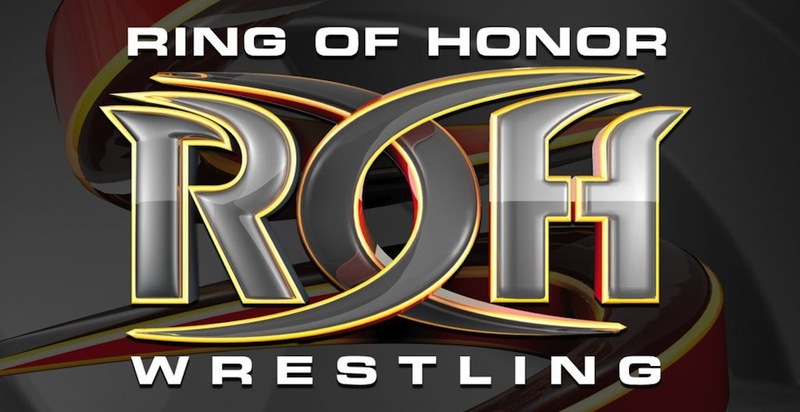 Hello everyone and welcome to another one of my Ring Of Honor television reviews here, as we are back to our regular scheduled reviews after I covered the house show I went to last week in the place of ROH TV. This week's show was a big deal because it was ROH TV’s 200th episode. It was a highlight show for the most part and it did feature one match, so this review will be a bit different from what you are used to seeing from my previous ROH reviews in style. The first clip of the night was from the match where The Addiction defeated reDRagon to win the ROH World Tag Team Championships. This match also featured the reveal of the third man in the Knights Of The Rising Dawn (KRD), which ended up being Chris Sabin. Up next, we flashed back to July 2013 for the Steel Cage Warfare between Team ROH and Team SCUM. Team ROH won the match when Kevin Steen scored the deciding fall to kill his very own creation. From there, we go to highlights from this year's top prospect tournament finals as Donovan Dijak took on Will Ferrara in a tournament that also featured Dalton Castle and Beer City Bruiser, who are all now currently signed to the roster. Dijak ended up defeating Will Ferrara via Feast Your Eyes to win the tournament and become the 2015 Top Prospect Tournament, but he didn’t do it alone, he had the help of Truth Martini as he would join the House Of Truth. Back from commercial break and we go to highlights of Tag Wars 2014, where reDRagon took on ACH and Matt Sydal. ReDRagon would retain the tag team championships. After that recap, we go to a match between Hanson and AJ Styles from November 2014. They showed a good seven minutes of the action, which ended with AJ defeating Hanson with a Styles Clash and not a good one if I may say so myself. From there we go to Inside ROH with the beautiful exotic goddess Mandy Leon as she ran down the entire card for Death Before Dishonor, which features the following matches. From there, we go to a match between Lance Storm and Michael Bennett that aired in clip form from 2012. Michael Bennett scored the win with a Photo Finish onto a chair that Brutal Bob Evans slid into the ring. As the show began to near the close, we go to our first actual and also last match of the night. Jay Lethal makes his way out to the ring with both title belts looking like a true champion. Martini removes his jacket and ODB gets in the ring as these two start the match off. Truth leaves his sunglasses on and does a spinarooni to kick off the match. Martini tags in Lethal, which brings in Strong, but before Strong and Lethal can even touch each other, Lethal tags in Dijak. Strong then tags in Mark Briscoe, who gains control over Dijak as we head to break. Dijak presses the advantage over Briscoe while tagging in Lethal, and Briscoe ends up on the wrong end of the ring in the House Of Truth corner. Mark finds his way to his corner in order to tag in Jay who takes control over Dijak. Dijak manages to make it over to his corner where Jay Briscoe finds himself trapped. All four men do a number on Jay as Diesel works him over before Martini asks Diesel for the tag. Martini tags in and gets punched in the balls by Jay Briscoe, which prompts Martini to quickly tag back out to Jay Lethal. Jay Briscoe begins turning things around after hitting a Death Valley Driver and then tags in Roderick Strong. We then get a short preview of the Death Before Dishonor main event as Strong gets the advantage over Lethal. Strong goes for a pin after a sidekick, but the entire House Of Truth stable jump in the ring to break it up. ODB jumps on the back of Lethal who makes the tag to Martini. Dijak and Diesel make their way into the ring and it ends up being 4 on 1 against ODB as all four men of the opposing team surround her. She takes a drink from her flask to fire up and begins fighting off the four men to the best of her ability. Lethal gets a brief advantage over ODB before the Briscoes and Strong recover and join the action in the ring as all 8 participants begin brawling and the referee loses complete control of this one. The Briscoes dispose of Dijak and Diesel while Strong takes out Lethal, which leaves Martini and ODB in the ring together. Martini rolls ODB up for a two count and ODB spits “Alcohol” in the face of Martini to score the win via roll up, which is the exact same way she defeated him in Hopkins last weekend. Match Result: The Briscoes, ODB, and Roderick Strong defeat J Diesel, Donovan Dijak, Truth Martini and Jay Lethal via pinfall when ODB rolls up Truth Martini after spitting alcohol in his face. This week's show was a bit disappointing, as it was mostly a clip show that featured one match. However, if you want to watch it, by all means do, but don’t feel bad if you have to skip it. That’ll do it for me and this review of Ring Of Honor Wrestling Television, a passable show, but a lame duck attempt at a 200th episode, but this means we will get the best of ROH Wrestling TV Volume 2 on DVD soon. The DVD will feature the best matches and clips from episodes 101-200. Hopefully next week we go back to normal, but we will have to wait until next week in order to find out. In closing, make sure to follow me on Twitter @Headliner5 and be sure and follow the Eyes On The Ring main account @EyesOnTheRing. 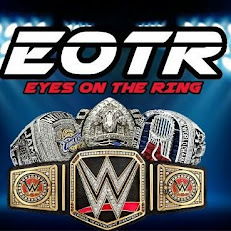 Be sure and check out the radio show over at http://www.blogtalkradio.com/ElitePodcastNetwork and lastly check out the rest of the EOTR site for more from me, plus the entire EOTR team. Finally make sure to like us on facebook at http://www.Facebook.com/EyesOnTheRing. Until next time ringers, I have been Nathan saying so long and keep your Eyes On The Ring.